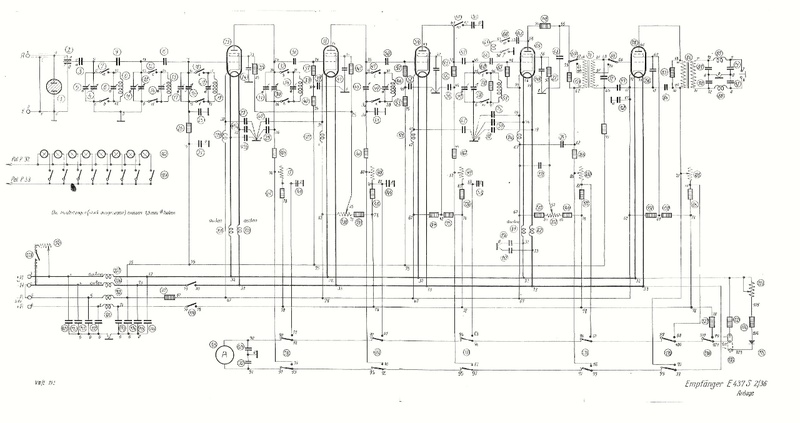 This is the schematic drawing of the E437S receiver. Notice the five RENS 1284 tubes, or "valves," as they are called in Europe and other parts of the world. The E437S also came equipped with 2 circular band filters.